Tax Directive enhancements have been implemented as a result of legislative changes. The enhancements to the directive application forms will enable Fund Administrators and Insurers to comply with the legal requirements. The IRP3(s) application is a new form addressing section 8A gains and section 8C amounts. The Recognition of Transfer and the Recognition of Purchase of an Annuity forms (ROT) can now be electronically submitted by the receiving fund. The IRP 3(s) – Employees’ tax to be deducted on any amount to be included under section 8A or 8C of the Income Tax Act is a new form and needs to be completed manually. This application form must be used by Employers where there are any amounts payable including any amounts under section 8A or 8C of the Income Tax Act. See our new Completion Guide for IRP3a and IRP3s forms. ROT01 – Recognition of transfer between two funds before retirement must be used where a benefit was transferred to another approved fund. 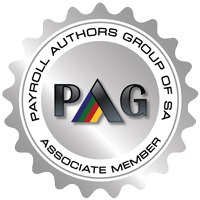 ROT02 – Recognition of GN18 purchase of a member/beneficiary owned pension/annuity from an insurer must be used to acknowledge the purchase of annuities. What is the purpose of a tax directive? 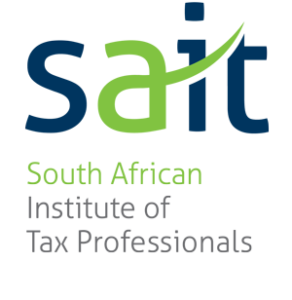 The purpose of a tax directive is to enable SARS to instruct an Employer or Fund Administrator how to deduct employees’ tax from certain payments to a taxpayer or for a fixed tax rate for an individual who earns commission income. At a SARS branch – complete the correct form from the list below and submit it at your nearest SARS branch with the relevant supporting documents. eFiling – Employers and Fund Administrators who have an organisation profile can log in and request a directive online. Tax calculations according to the tax directive should be regarded merely as an estimate. Some employees may find that they still have to pay in substantial amounts or that a credit may be due to them once the final liability has been determined on assessment. Application forms are available for specific tax directive types. Form A&B, Form B, Form C and Form E serve as examples of the form layout. The Employer / Fund Administrator must ensure that the correct application form is used according to the reason for the exit from the fund/employer’s service and the nature of the amount payable to the employee/member of the fund. IRP 3(a) – Gratuities paid by employer (e.g. death / retirement / retirement due to ill health / retrenchment / other – to supply reason for payment). IRP 3(b) – Employees’ tax to be deducted at a fixed percentage (e.g. commission agents / personal service company / personal service trust). IRP 3(c) – Employees’ tax to be deducted at a fixed amount (e.g. Paragraph 11 of the 4th Schedule (hardship) / assessed loss carried forward). IRP 3(s) – Employees’ tax to be deducted on any amount to be included under section 8A or 8C of the Income Tax Act. Form A&D – Lump sums paid by pension, pension preservation fund, provident or provident preservation fund. (e.g. death before retirement / retirement due to ill health / retirement / provident fund – deemed retirement). Form B – Lump sums paid by pension or provident fund (e.g. resignation / withdrawal / winding up / transfer / Section 1, Paragraph (eA) of the definition of gross income transfer or payment / future surplus / unclaimed benefit / divorce – transfer, divorce – non-member spouse / divorce – member spouse / housing loan / involuntary termination of employment (retrenchment) including withdrawals from a pension preservation or provident preservation fund). Form C – Lump sums paid by a RAF to a member (e.g. death before retirement / retirement due to ill health / retirement / transfer from one RAF to another / discontinued contributions / future surplus / divorce – transfer, divorce – non-member spouse / divorce – member spouse / emigration withdrawal / visa expiry). Form E – Lump sums paid after retirement by an insurer or a fund (e.g. Death Member / Former Member after Retirement, Par. (c) Living Annuity Commutation, Death – Next Generation Annuitant, Next Generation Annuitant Commutation and Transfer of an annuity to another insurer). Employers or Fund Administrators may submit manual application forms to a SARS branch or submit the application forms electronically via an interface agent or register as an agent on SARS eFilng. Reason for a directive (the relevant reason must be marked on the application form). Refer to the Guide to Complete the Tax Directive Application Forms for information required per application form. Gross amount of lump sum payment or Gross value of gain / amount. The relevant income and expense statement and / or other relevant documentation must accompany the application form if the IRP 3(b) or IRP 3(c) application forms are submitted. Please make sure that you use the latest version of the relevant form. Refer to the Guide to Completion Guide for IRP3(a) and IRP3(s) Form for more detailed information required per application form. A tax directive is only valid for the tax year or period stated therein. Employers may decline to accept photocopies of directives. Employers may under no circumstances deviate from the instructions of the directive. Tax directives issued to electronic clients via the SARS Interface are valid directives. Employers must apply the percentage of employees’ tax as indicated in the directive prior to taking into account allowable deductions for employees’ tax purposes (e.g. pension, retirement annuity fund contributions, etc.). Where the employer received a directive and the employee’s commission income is not more than 50% of the gross remuneration income the employer can ignore the directive instruction. From an eFiling perspective, Tax Directive applications submitted before 1 July 2017 can be viewed, cancelled and printed under ‘Tax Directives –prior to 2017’ in the left hand menu on eFiling. Electronic confirmation of receipt: From July 2017 the receiving fund of the transferred benefit or the Insurer where the annuity was purchased must electronically confirm the receipt of the transferred benefit or benefit transferred to purchase an annuity. If the receiving fund cannot submit the Part B of the ROT electronically, the transferring fund is responsible to submit the manual comprehensive ROT (Part A and Part B) to SARS. Call the SARS Contact Centre on 0800 00 7277.